I have to give you some background first for this post to make any sense. For years, I had this pain under my arms and to either side of my chest. 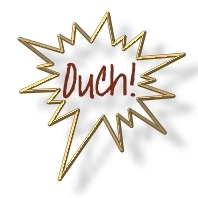 It didn't hurt to walk around or do everyday activities, but if pressure was ever exerted there, it hurt like the dickens. As if you had a severe bruise or an open sore and someone was poking it. I probably wouldn't have noticed it much if it weren't for my furry companions, who think nothing of traipsing all over my body during the night. Whenever they would step on one of these spots, I couldn't help but cry out and if I happened to be sleeping... Well, let's just say I couldn't stay asleep. Fast forward to last fall. I noticed one day that for the first time in years, I no longer hurt there - even when I pressed on it. But I didn't think much of it, other than to be grateful that the pain was gone. And then several weeks ago, it suddenly reappeared. Perhaps because it hadn't been my constant companion for a while, it felt that much worse. I started sleeping with a pillow across my chest so that if one of the cats walked across there, I had a buffer to protect me. I tried to think about what had changed. Why had it hurt for so many years, suddenly disappeared only to reappear several months later. After careful consideration, I realized that two things had changed during these times. First, I was taking more acetaminophen again. I had gotten down to maybe 2 pills a day, but when my fibro flared up, I started taking a lot more. The second things that was different was my use of deodorant. I used to use it every day, but somehow got out of the habit last fall. The weather was nice and I didn't really need it. I had recently starting back using it for no other reason than it was there and it smelled nice. I did some research on the internet (which I should probably have done years ago) and discovered that my symptoms could be caused by a reaction to the aluminum in my anti-perspirant. I had no idea that the chemicals in it can actually cause your lymph nodes under your arms to swell. Everything I read said that the effects would subside after a couple of weeks of not using it. It's been about a week and a half and the pain is gone again. Better yet, I now know what was causing it and can avoid it in the future. That's why I wanted to share this with you. It's rather personal, but I hope if anyone else out there has the same symptoms, it might give you a direction to look in. 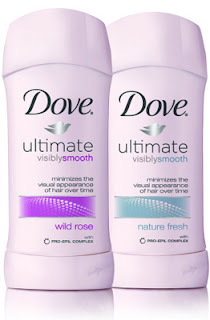 I was using Dove deodorant, but have tried lots of others in the past. I believe that most of them contain aluminum but you can always look at the ingredients list to see. For my friends - don't worry. I plan to find a natural alternative before summer rolls around! If my memory serves me right the aluminum is found in antiperspirant deodorants, if you can find a straight up deodorant it shouldn't have aluminum in it. I have heard for years that it isn't good to use the roll ons.. but it isn't good to use the aeresol spray either.. I may have to google natural products..I wonder how good they would do in keeping you dry.